I have good days-bad days-happy days and sad days…and so on. 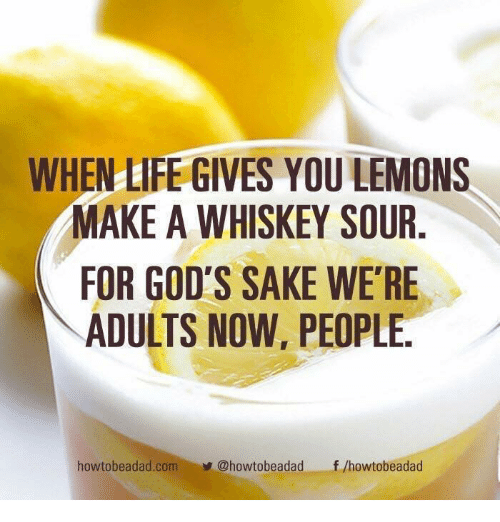 I don’t dwell on the not so great days…When life hands out lemons, I make lemondiad…right? No, not always. Sometimes the not so good days serve a growing purpose for me. …Then again, some days…are just bad days. Period. Life goes on…but I don’t marinate in the bad. I don’t care to be ‘Overseasoned’, if you follow. Im not one to focus on negativity but look for opportunities to create a better mood…most days. I like to get down to the nitty gritty of matters. Am I miserable, tired, etc….if so….I am one to get to the source and will diligently find answers to improve my state of mind or physical being. I am not a person who will sit back and let life happen. To me thats irresponsible. To me. While Life is full of choices…life will still happen and some of which is out of my control…back to the lemons…If I am feeling hungry-angry-lonely-tired….then I am one to get to the bottom of WHY and resolve to do whatever works for me to take care of me. If I am hungry, I eat. If I am angry, I pray, if I am lonely I hug my pets, my husbands or call on a friend….if I am tired…I rest. I have limits. I have boundaries and I have them in place to protect myself and in doing so I am better prepared and equipped to help someone else. I think good days and bad days are actually balance. I need them both. To maintain a healthy attitude, to grow in all areas of my life and relationships. If I hang out in good all the time or bad days all the time…I personally have resolved to ‘give up’ and not grow-learn-accept anything anymore. Thats NOT who I want to be….ever. So I leave you with this bit of advise- feel free to decline it or accept it. Its not a rule to follow, its just something I feel may help someone….even myself, for just saying it. ‘“Life may be giving you lemons today or lemonade. You always have a choice. Sometimes choices are uncomfortable and to choose the thing that makes you uncomfortable may be just the ‘thing ‘you need to do do take care of you'. Immediate gratification is just that. For that second, you feel super, but the then the other shoe, will eventually drop. Make yourself a priority. Allow. It is okay to have a bad day….take what your given and learn from it…but just don’t stay there. Set boundaries. You choose what you will marinate in….and remember,….if you choose to marinate in the bad…cool…just turn yourself over now and then so you don’t overcook’. Well done, Missy, as usual! Thank you Missy for sharing yourself with us, your thoughts, your feelings. Do they resemble to mine, oh, in many respects, but I feel you are more powerful and less inclined than me to dwell on the bad. I should learn. Happiness is not a given, and nobody can hand it to us on a silver platter. We, ourselves, have to find the reasons to be happy, and it is not always easy. Yes and its key to know....we are not responsible for anyones happiness other than our own! Have a beautiful day, Beautiful Lady!!!! Big (((((((hug))))))) for you too. ahem - Tom - better make it just ONE! I love this. I think it's part of "life happens for you, not to you" thinking. It helps when we can take a step back and ask why. Sometimes we don't find the answer, but we can still choose how we think about it and thus how we go through it. "You choose what you will marinate in." Indeed! I have been listening to my Elders...and I still consider the lessons learned here on this site and hold them dear to my heart as stepping stones to improve. When I fail to find ways to improve...then I have overcooked! Thank YOU for being such an Elder who has led my ways and inspired me much! This is just lovely! And said is such a gentle, thoughtful way. Thanks, Missy, for your insight and wisdom. I love my life and life loves me right back....through the good, the bad, and the ugly I appreciate them all. Beautiful, Missy. It really is good to accept that the bad can be a learning experience and can make us really appreciate the good. I do realize that there are times when I don't rest as much as I should and there are times when resting is all I want to do but that's not going to happen. Thanks to people like you...I am reminded that there is always hope and there is always laughter and love and goodness...SO MUCH GOODNESS. CONGRATS MISSEY CREATING YOUR OWN LEMONADE AND REMAINING A NON SMOKER WHO LIVES H.A.L.T.--GOOD JOB! Great advice . One of the mottos I always say is “the one that says they are going to win and the one that says they are going to lose are both usually right”. It’s all about mindset.